When it comes to boosting your natural fertility choosing the right foods is key. Have you heard of the Doctrine of Signatures? It’s a concept developed by Paracelsus during the first half of the 16th century. According to this doctrine, plants (herbs) that resemble the body parts can be used to treat diseases of these specific organs. This also means that mother Nature hid in plain sight clues about which fruits, vegetables and herbs are beneficial fertility foods for us. Look at the shape and color of the vegetable or fruit or plant to see what organ in the body it may be good for. A famous example is the tomato. When you cut the tomato into two halves, you’ll see four chambers resembling our heart. The color red resembles the blood and is symbolic of the cardiovascular system. Interestingly enough scientists have discovered that tomatoes contain lycopene which is a powerful antioxidant with an affinity for the heart (it has cardio-protective properties). Walnuts come in a hard shell almost like our skull. When you crack a walnut open, you’ll see it has two hemispheres connected by a bridge which very much resembles our brain and the corpus callosum. The thick bridge of neural tissue in the middle of the brain, the corpus callosum connects the left and right hemispheres. Among other things, our brain is made of essential fatty acids, in particular, the DHA fatty acid, which is one of the omega 3 fats. 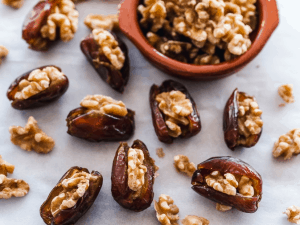 Guess what — walnuts are one of the richest sources of omega 3 in the plant kingdom and it also helps improve learning and memory function, according to one study. When sliced in the middle, carrots look like our iris. Rich in vitamin A, carrots are great for maintaining good eyesight and good night vision. Since yellow color is said to represent the liver and the bile, lemons, grapefruits and dandelions are great for the liver. In addition, they also share another property said to assist in liver detoxification – they are all bitter. Bitter taste activates our digestive juices, enzymes and liver before the food reaches the stomach improving our digestion and nutrient absorption. According to the same doctrine, grapes are said to be good for our red blood cells as they look like small red cells and contain resveratrol—a powerful, blood-protecting antioxidant and iron necessary for hemoglobin production. Red blood cells carry oxygen attached to hemoglobin to our other cells. What about fertility foods? Are there any foods which are good for fertility? Of course, there are—Mother Nature thought of everything! What shape and color would you suspect fertility foods to be? Round, full of seeds, red, maybe green? Taking into account the Doctrine of Signatures though, foods that may help improve fertility should resemble male or female reproductive organs. Avocados look like a pregnant belly and contain a big seed inside. fibre, potassium and many other beneficial phytonutrients. 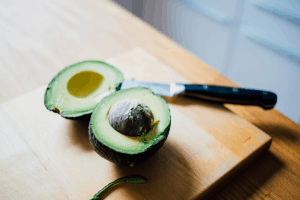 One of several great fertility foods, avocados also help improve your absorption of carotenoids (which are powerful antioxidants needed for robust immunity) from other vegetables. 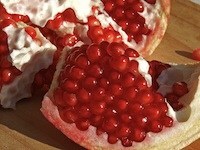 Pomegranates are round, red fruit, full of small red seeds resembling ovaries and testes. Famous in ancient times, Egyptians were buried with the fruit and Babylonians regarded it as an elixir and ate it before battles. Known as the symbol of fertility throughout ancient times, pomegranates are consumed because of their fertility-increasing potential. For starters, it’s rich in vitamin C, a powerful antioxidant. It also contains other antioxidants such as resveratrol and has three times more antioxidants than green tea, according to one study. Antioxidants protect the DNA from damage which can contribute to malformations and miscarriages. 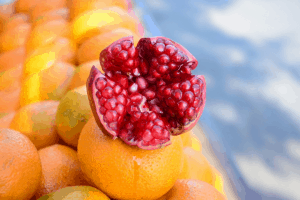 Pomegranates have been found to reduce interleukin-1b (IL-1b), an inflammatory marker which is high in people with inflammatory diseases (such as osteoarthritis, endometriosis, autoimmune conditions and others). When present in the body, the IL-1b marker makes the pain and inflammation worse. While usually associated with chronic conditions, the IL-1b marker can also contribute to miscarriages if present in high numbers. 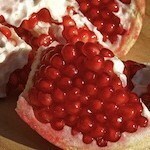 Also, studies show that pomegranate has a protective effect against prostate and breast cancer. It also protects the newborn’s brains if mothers drink the juice during pregnancy. Small and round, figs resemble ovaries and testes and are also full of small seeds, just like the eggs and sperm. Romans regarded figs as a sacred fruit and the ancient Greeks outlawed the export of figs. That’s how precious they were in the ancient times. Figs were a symbol of prosperity and peace. Rich in calcium and fibre, these vitamin and mineral bombs help mop up excess estrogen and xenoestrogens from our digestive system before they get a chance to be absorbed. Also with insulin lowering properties, fig leaves may also be beneficial to PCOS and anovulation. 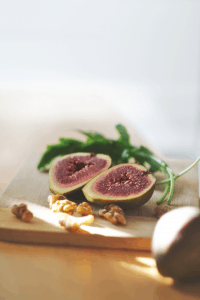 Figs also protect from breast cancer, promote bone density, protect the cardiovascular system and lower high blood pressure. Not only are they healthy—they also taste divine! 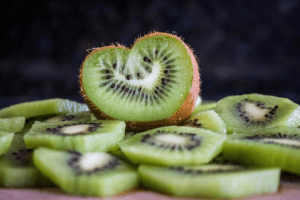 Small, round and full of small black seeds, kiwis also resemble ovaries and testes. One of the richest sources of vitamin C, kiwis also help protect the sperm and DNA in eggs and sperm from oxidation. This makes them another great choice for fertility foods. It also contains magnesium, manganese, vitamin E, copper, fibre and potassium. It protects our eyes from macular degeneration, controls our blood sugar (important for PCOS and insulin regulation) and promotes colon health and protects from asthma. Fruits and vegetables are rich in vitamins, minerals and antioxidants which are essential in improving egg and sperm quality. A good number of studies (like Harvard’s and others) have proven the importance of integrating fruits and vegetables in improving overall fertility in males and females trying to conceive. If you find it difficult to include veggies in your diet, try juicing or blending them with fruit instead. Nuts and seeds are great sources of protein and the mineral zinc, the most important mineral for fertility. Zinc, in men, is essential in testosterone synthesis and in healthy sperm development. In women, zinc is crucial for the production of healthy eggs. It’s also essential in ovulation, sexual development and the menstrual cycle. These healthy fats (from olive oil, grapeseed oil, nuts and seeds) reduce inflammation and help improve the body’s insulin sensitivity–two things which make the body more conducive to fertility. 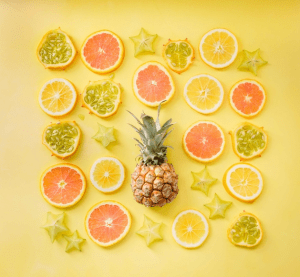 What a delicious fruit salad or a mixed-green salad topping these fertility foods would make! Get these fertility foods into your daily diet to improve your nutrient status and toxin elimination in order to increase your odds of conception! What are your thoughts on fertility foods? Do you know of other fertility boosting fruit or vegetables? I’d love to hear from you! 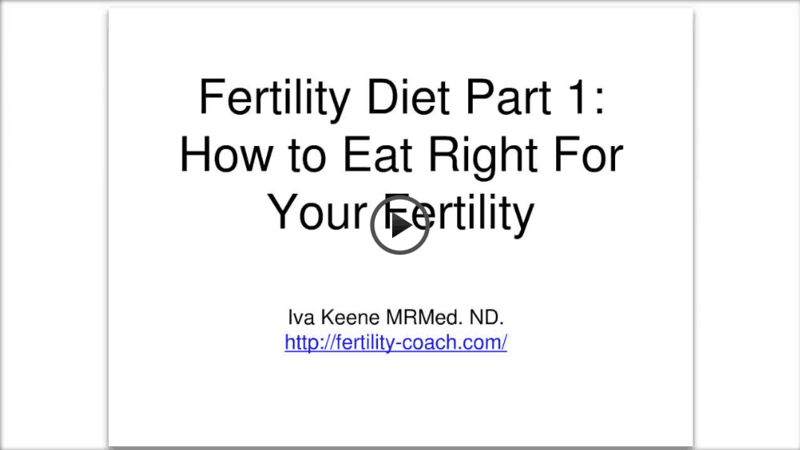 Enter your email below to instantly receive a free copy of our diet for fertility video and learn how making minor dietary changes can greatly increase your chances of conceiving a healthy baby!